Happy Thanksgiving everyone! Are you making pie? 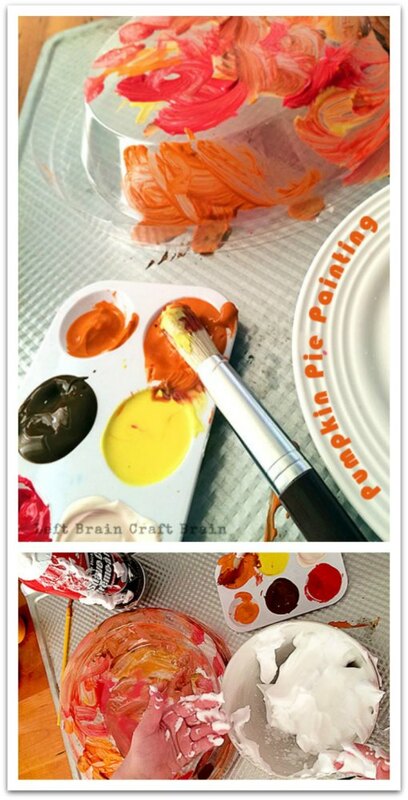 While you bake, the kids can paint and play with their very own Pumpkin Pie Painting. It’s a super easy craft made from the lid to frozen pie crusts. 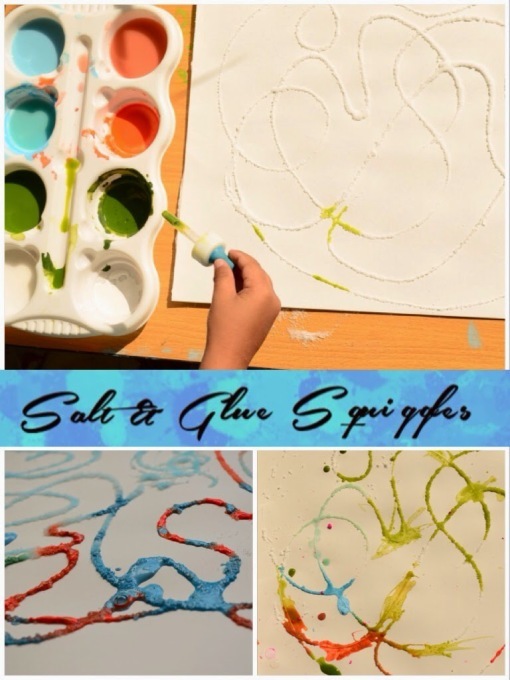 Plus it has some fun sensory play at the end, too… Keep reading for more fun paint painting ideas plus this week’s installment of the Love to Learn Linky. First, paint the underside of the pie crust lid. 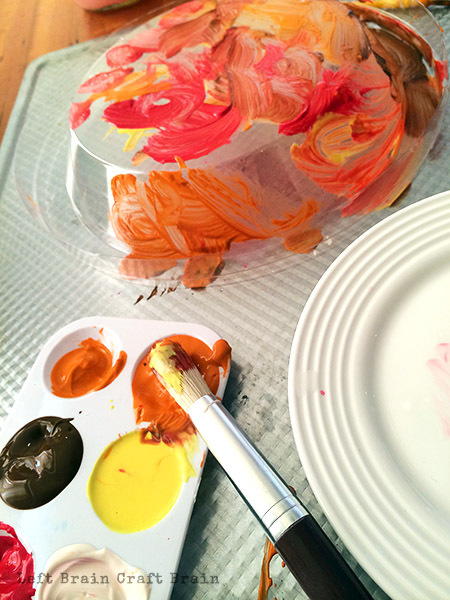 Painting the bottom (instead of the top) makes the “whipped cream” stay creamy white in the next step. Next, flip lid over and get out the shaving cream. The Babe loves using the can all by herself. Have towels ready! 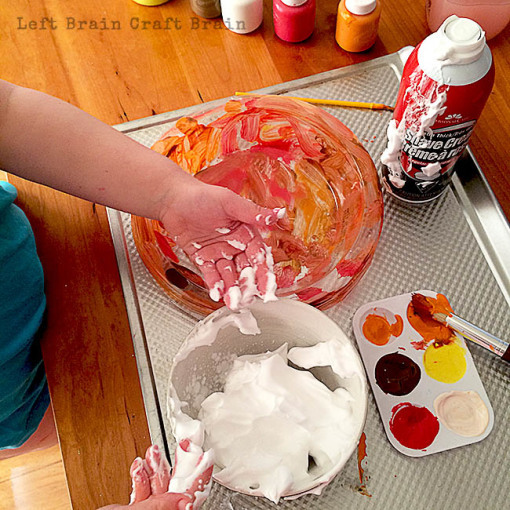 Love messy play, but don’t love the mess? 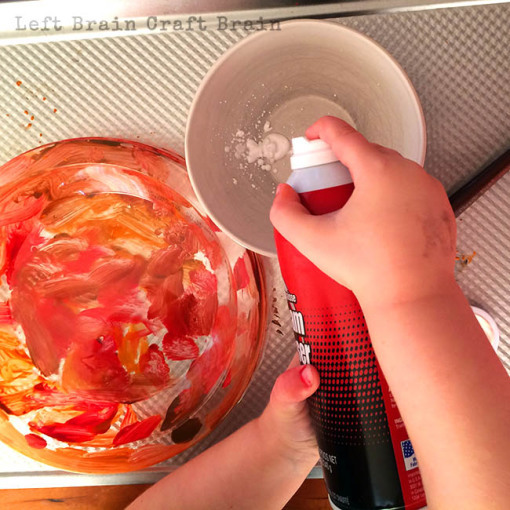 Check out my tips for Cleaning Up Messy Play! 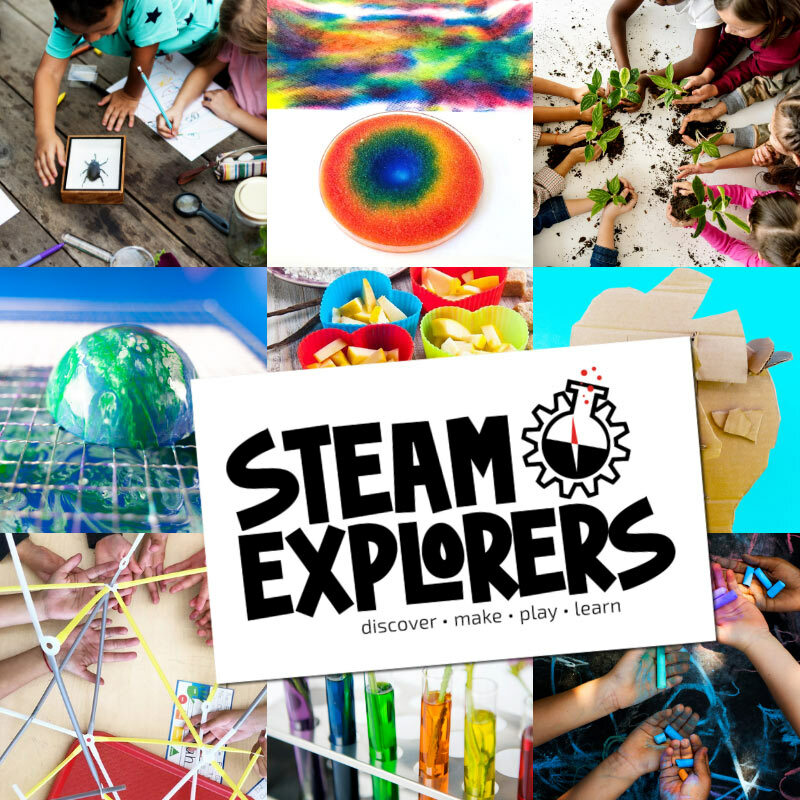 While you’ve got the paint and shaving cream out, might as well make a turkey, too! 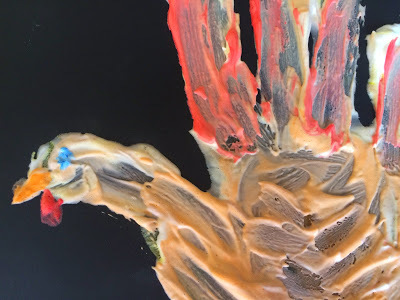 Handprint Turkey from Mini Monets and Mommies. 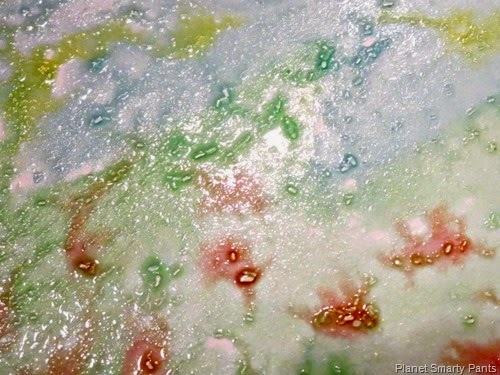 Make some Frozen DIY Watercolors from Planet Smarty Pants. 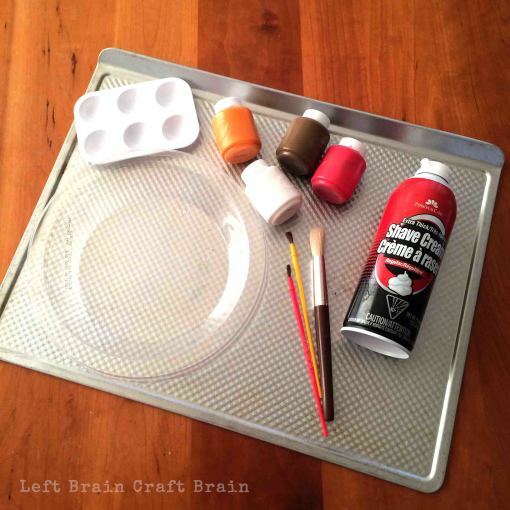 Watch the color travel with this Salt Painting project from The Practical Mom. the pumpkin pie making for kids, fun! We just played with shaving cream and my daughter called it ‘monster goo’ probably because it was green. Messy but fun! Love the monster goo name! 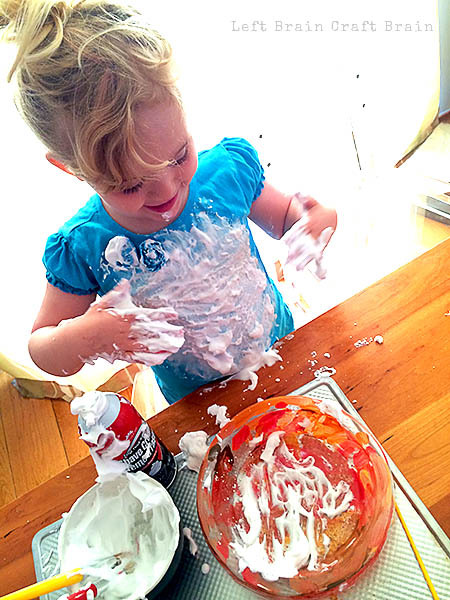 There is something special about shaving cream to the kids, for sure.